Multi-fuction manual regulating handle,simple and fexible operation,makes it work more reliabl and safer High speed polisher is designed by manual controlling. It is characteristic of its big power,quickness and effectiveness. It is very easy to operate,polishing at a speed lf 1500 RPM. Two capacitors and a built-in fan cooling motor with great power are installde inside the machine. It is adjustable to all kinds of floors and bricks,especially suitable for polishing the wax floor. The operation system enables it to move in all directions. The machine can move with freedom for a perfectly spotless floor and it offers longer wear and lower maintenance,while achieving a high gloss surface. 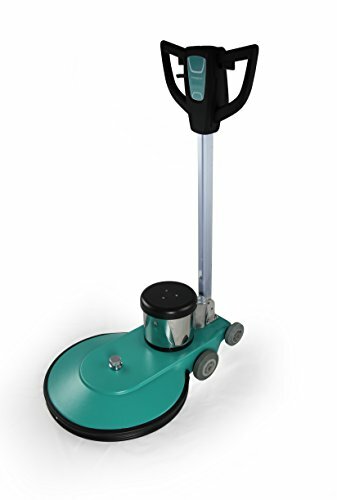 HY1500C Technical Specification Voltage 110v~ Weight 50kg Power 1800W Speed 1500rpm/min Power line length 12m Base plate diameter 20"
View More In Floor Cleaning Machine Parts & Accessories. If you have any questions about this product by Farag Janitorial, contact us by completing and submitting the form below. If you are looking for a specif part number, please include it with your message.